Throughout the twentieth century, live theatre has been challenged by a range of new media based on increasingly sophisticated technologies. In Stages for Tomorrow, Francis Reid, one of the world's best known and best loved lighting designers, gives a unique insight into some of the key developments of live performance technology this century and offers a view of where the future lies - a must for any theatre professional who takes their job seriously. Throughout the twentieth century, live theatre has been challenged by a range of new media based on increasingly sophisticated technologies - audio recording, film, radio, television, video recording - and it has survived them all. Now live performance faces an information technology explosion where the reality is claimed to be virtual. 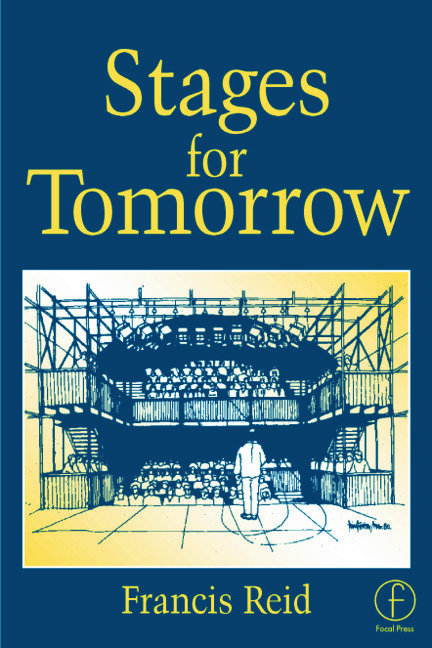 In Stages for Tomorrow, Francis Reid, one of the world's best known and best loved lighting designers, gives a unique insight into some of the key developments of live performance technology this century and offers a view of where the future lies - a must for any theatre professional who takes their job seriously. The book covers every aspect of staging a live performance: from its relationship with photographic and digital media, old and new, to factors affecting the architectural design of buildings which house performances of ephemeral arts. The technology of staging styles is covered, with ongoing engineering solutions for scenery, light and sound. The book also examines developments in costume design, marketing and training. Whether student or seasoned professional - this is a guide to the technical theatre that you won't want to be without - now, or in the future! Francis Reid is a world renowned freelance theatre lighting designer. He lectures, writes and advises on the subject of theatre design and technology.